President George Manneh Weah has sent a message of congratulations to the Government and people of the Republic of Senegal, on the occasion commemorating the 59th Independence Anniversary of that Country. April 4, is Independence Day in Senegal. This holiday celebrates the day, when Senegal and French Sudan merged to form the Mail Federation in 1959. Although officially Senegal gained independence on June 20, 1960 the holiday is celebrated on April 4, on the anniversary of the foundation of the Mail Federation. 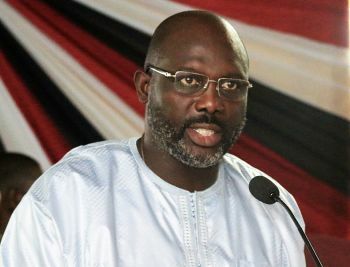 In the message to his Senegalese counterpart, His Excellency Mr. Macky Sall, President George Manneh Weah extended warmest felicitations to the Government and people of Senegal, on behalf of the Government and people of Liberia, and in his own name, as they celebrate another milestone in the history of their countries. Liberian leader further entertained the hope that as Senegal celebrates this historic occasion, the bound of friendship subsisting between both countries will be further strengthened for the mutual benefit of both countries and peoples. He further assured his Senegalese counterpart of his Government’s determination to continue to strengthen the cordial relations subsisting between the two countries for the mutual benefit of both peoples. President Weah then prayed that Allah will continue to endow President Sall with abundant wisdom and strength as he leads the people of Senegal on the path to peace and greater prosperity.